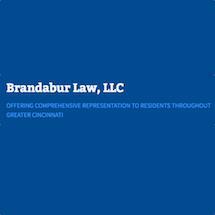 Established in Hamilton, Ohio, Brandabur Law, LLC, provides comprehensive legal advice for residents of greater Cincinnati with business, immigration, estate and elder law concerns. Having practiced law since 1996, the firm’s founding attorney, Michael J. Brandabur draws on his rich work history when he counsels his clients. Michael employs his extensive military, business and legal background to help his clients identify the most effective solutions for their legal issues. While serving in the military, Michael represented the US government and other governments in overseas trials. The outcomes of these trials were publicized on a national and international level. As a result of his interaction with diverse cultures and foreign institutions, Michael references these encounters he counsels foreign nationals needing immigration assistance. With his master’s degree in business administration and experience as a business owner, Michael ably tailors strategies for area operators seeking to develop their companies and minimize their liabilities. To this end, he drafts, negotiates, executes and litigates contracts for entities that range in size from proprietorships to international organizations. His corporate and business practice benefits from Michael’s acumen and ability to anticipate future conflicts. When you retain the services of Brandabur Law, LLC, you will be partnered with an attorney and staff who are committed to providing insightful representation at an economical rate. Contact the firm today to learn how you can benefit from our guidance.